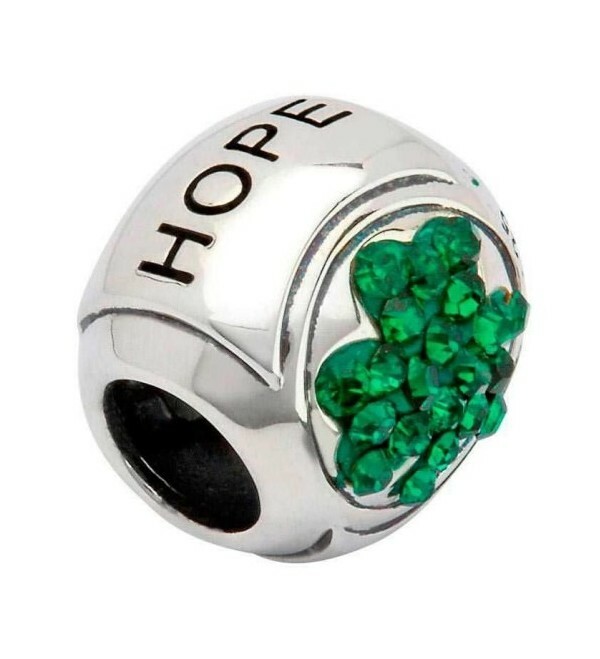 The shamrock, historically, is an Irish symbol used throughout the ages by Christian leaders and their faithful followers and Shanore has chosen to showcase HOPE as seen in the inscription on the sterling silver background. By buying this product you can collect up to 64 loyalty points. Your cart will total 64 points that can be converted into a voucher of $3.20. Tara's Diary collection from Shanore Irish Jewelry offers breathtaking Pandora and Chamilia-compatible charms available nowhere else. The Emerald Isle is aptly named for its shimmering, green landscapes. At Shanore, we love to capture that love of green and the inspiration it produces. The shamrock, historically, is an Irish symbol used throughout the ages by Christian leaders and their faithful followers. Of its many meanings, Shanore has chosen to showcase 'HOPE' as seen in the inscription of black letters on the sterling silver background. It is said that St. Patrick was the first to use the shamrock in his sermons. He connected the three leaves of the plant to the three persons of the holy Christian trinity: God the father, God the son and God the holy ghost. The iconically green color also represents Ireland, and its constant effort to connect its nature to life's deeper, philosophical meanings. 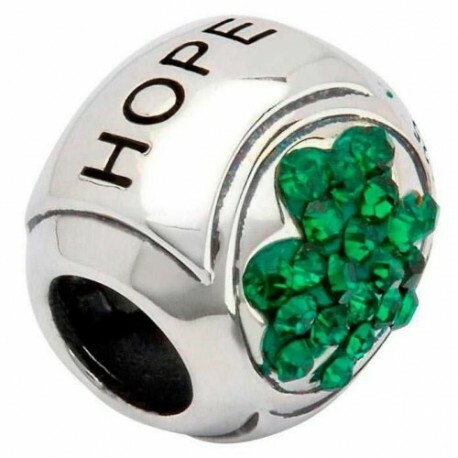 Of the many interpretations of the shamrock, one stands out to the jewelers at our Tara's Diary Collection: hope.